PayPal is using smartphone-crazy Singapore to trial an interesting initiative which allows phone owners to buy goods on the go using a QR code reader application. 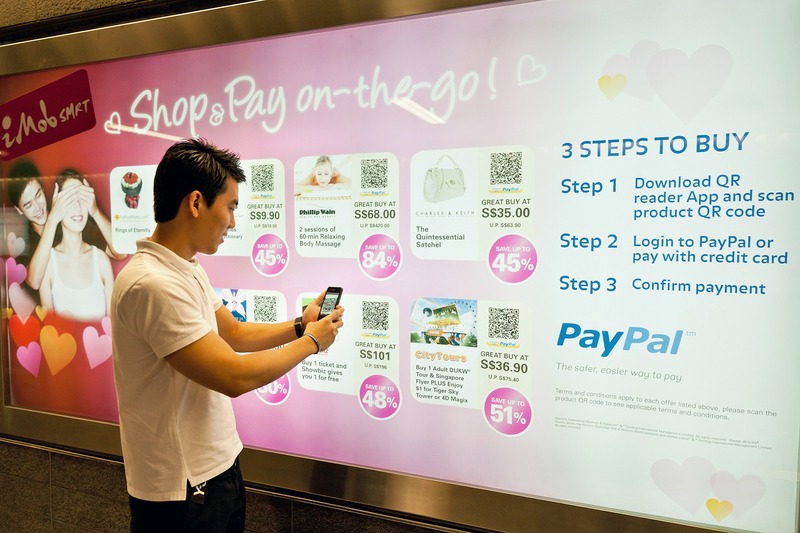 The experiment is taking place at 15 stations on the country’s metro system (SMRT) where the eBay-owned payment company is showcasing gifts from eight retailers at reduced prices for Valentine’s Day, as AllThingsD reports. Singapore’s underground is one of the few that boasts full mobile and data coverage while the country also has city-wide free WiFi, which are key to this test. To get involved in the trial, smartphone owners must first download the PayPal QR code reader which allows them to scan products. Once scanned, items can be purchased by logging into PayPal (of course) or by providing credit cards details. Mobile payments are growing rapidly in the US, however Asia remains largely untouched for a number of reasons. Not only are smartphones still a growing niche in many parts of the reason, but credit card ownership — and even bank account usage — is low too. Singapore is a standout case in Southeast Asia, and it was once the capital of iOS devices; boasting more per person than anywhere else in the world. The surge of Apple worldwide may have seen it lose the record, but nonetheless smartphone usage remains high there and it has high levels of Internet connectivity and fast speeds to boot. Singapore has been the setting for trials around contactless payments, NFC-based commerce and other such pilots, and we’ll be keeping an eye on this QR code trial with interest. Update: More details of the pilot can be found in this video.